She’s desperate for him to do the right thing. The trouble is – he’s the wrong man. Dutiful daughter Arabella Shelley is bitterly unhappy at home with her tyrannical father. Both her sisters have run away and the future looks bleak until handsome Rafe Calne, Viscount Hadleigh, sweeps her off her feet. 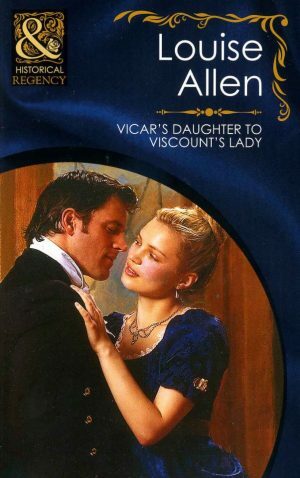 A few weeks later, pregnant and abandoned, Bella sets out to force Viscount Hadleigh to do the right thing. 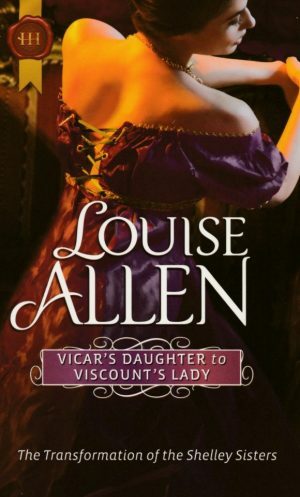 And he does – the problem is, he isn’t the viscount she had been expecting. ‘Lord Hadleigh will wish to see me whether he is receiving or not. Kindly tell him that Miss Shelley is here.’ She stepped forward and the butler, caught off-guard, stepped back. ‘Thank you. I will wait in the salon, shall I?’ She dumped her bag by the door. The butler received her sodden cloak and then looked as though he might drop it, but in the face of her accent, her certainty and one lifted eyebrow, he ushered her into a reception room. It had been too much to hope the man would offer such an unconventional arrival a cup of tea. Bella eyed the satin upholstery, decided not to sit on it in her damp skirts despite her shaking legs and tried to study the pictures on the wall. The study was on the north side of the house, deep in shadows. A fire flickered in the grate, the only light, a green-shaded reading lamp, was focused down onto papers on the desk. It illuminated the lines of Rafe’s jaw, the edge of his cheekbones, the glint of his eyes as he stood, but not much more. So formal, so calm: he is concerned that the butler might come back. His voice seemed deeper, perhaps that was surprise at seeing her. He did not sound angry. That would come and she had tasted his anger, his fury at any attempt to thwart or contradict him. ‘Indeed.’ Still no anger. Perhaps this cool distance was worse: he did not seem to even know her. Bella felt a fresh pang of apprehension, a wave of hot shame that she was in this position. ‘When you left me you made it clear you never wanted to see me again.’ Silly little sentimental fool. Clumsy country wench – the only thing you can do on your knees is pray. So easy, so gullible and not worth the effort. He had slapped her face when she began to weep. She could not read the emotion in his voice. The shadows seemed to shift and sway. It was necessary to breathe, to be silent for a moment or two while she fought the nausea and the shame. He was going to make her spell it out, he was not going to offer her the slightest help to stammer out her demands. ‘I see.’ He sounded remarkably calm about it. She had expected anger, shouting. Only the flash of that ruby in the firelight showed any sign of movement. She could almost feel the emotion flowing from him in waves now, belying his calm tone. But she could not decipher it, except to feel the anger, rigidly suppressed. Perhaps it was her own fear and humiliation she could feel. Bella pulled air down into her lungs and took an unobtrusive grip on the back of the nearest chair. ‘You are certain that you are with child?’ That deep, dispassionate voice unnerved her as much as his words. Rafe had always been laughing, or whispering or murmuring soft, heated endearments. Or at the end hurling cutting, sneering gibes. He had not sounded like this.